Don't wait for your heater to cough its last breath or your air conditioner to wave the white flag before giving it a Tune-up - by then you'll beg for mercy. Instead, schedule our Silver Tune-Up right now, it can save you up to 30%* on your monthly energy costs. Meaning: you can fan yourself with money while you drink sweet beverages, all because of our HVAC maintenance expertise. In fact, routine furnace and AC maintenance is vital to efficient, worry-free heating and cooling. Others may claim they know how to do a tune-up, but get the facts first. 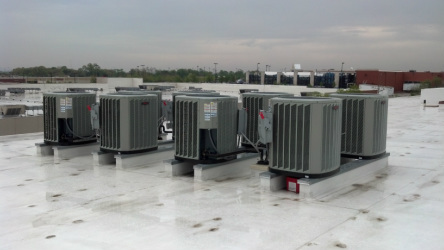 Some of these so-called "tune-ups" are nothing more than a basic HVAC System Inspection. Here's the bottom line: nothing compares to our full 23-point* Heating and 18-point* Air Conditioning Precision Tune-Ups by the industry's Service Experts. Our tune-ups are so thorough you'll marvel at our expertise - you may even send us thank-you cards and cookies (chocolate chip, please) - because we care so much about our work. We are, in a word, Experts. Why should you utilize our high-quality maintenance and tune-ups?